Girls’ Respect Groups is an after-school program for Grade 6 girls, led by specially-trained high school girls. GRG puts middle school girls directly in touch with kind-hearted, empathic teen girls, the people they most look up to, want to listen to, & want to emulate. 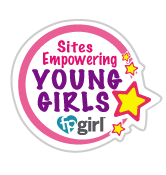 GRG creates a safe place where girls of all ages can work together to stop the vicious cycle of girls bullying girls. Working together, both sets of young women make choices rooted in self-confidence & self-respect. Girls’ Respect Groups is a wonderful way to build respect in our communities. 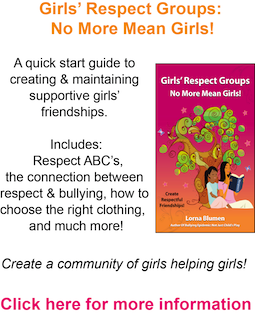 Get Started Today Building Respectful Communities Of Girls Who Respect Boys Who Respect Girls!